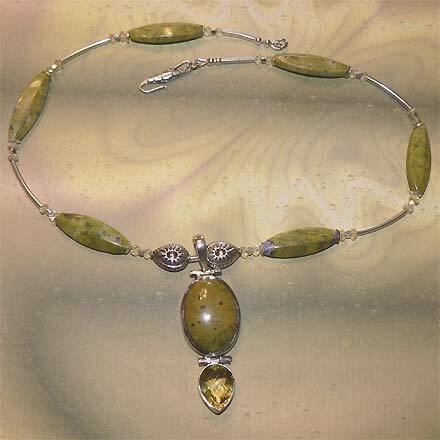 Sterling Silver Stichtite and Lemon Citrine Necklace. See Closeup. 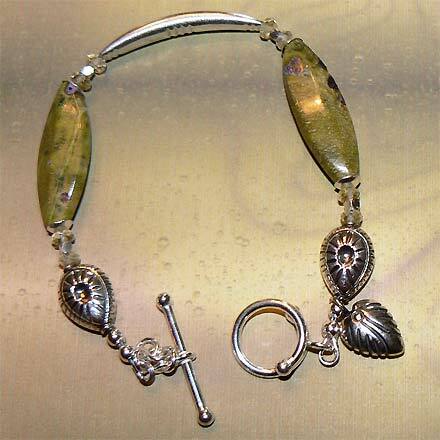 Sterling Silver Stichtite and Lemon Citrine Bracelet. Stichtite is actually the small pinkish-purple crystals inside the yellow-green Serpentine matrix. 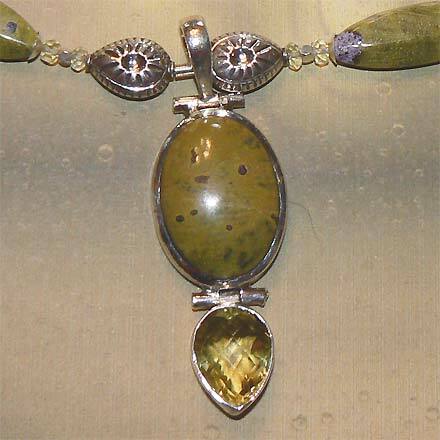 This set is also highlighted with transparent Lemon Citrine. For those who are interested in Astrological significances of stones, Citrine is November's birthstone.